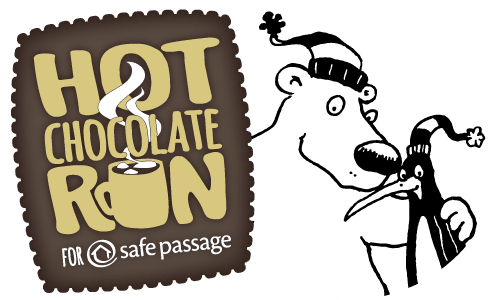 Participants join us year after year to spend time with family and friends, run a challenging 5K course with serious competitors, enjoy hot chocolate, and most importantly, to support Safe Passage and our important programs for survivors of domestic violence. Safe Passage is the Hampshire County organization addressing domestic violence. Since 1977, Safe Passage has helped thousands of families achieve safety, build justice, and rebuild their lives in the wake of domestic violence. You can learn more about Safe Passage and domestic violence on our website: http://safepass.org. Our many donors and supporters are a critical part of our work. The funds raised help provide safe shelter, legal assistance, and critical counseling services for adults and kids who have lived with violence in their homes. For information about sponsoring, see our Sponsors page.